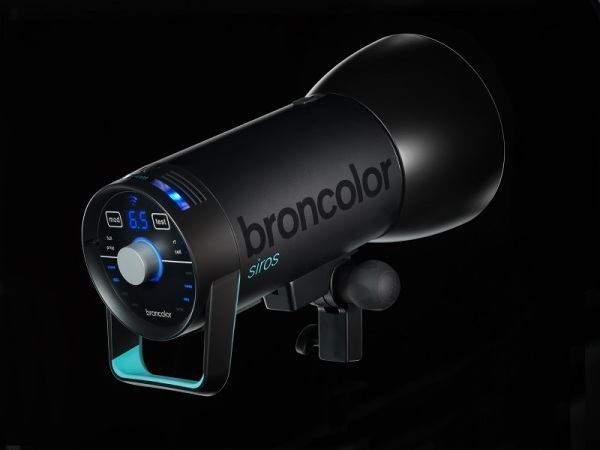 Broncolor, the manufacturer of professional studio lights, has announced a new monobloc with integrated wireless features. 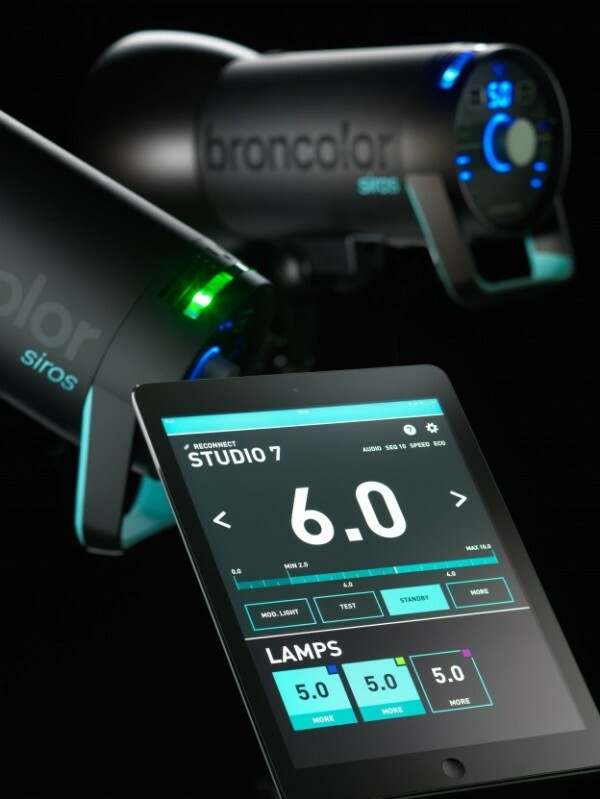 The Broncolor Siros offers WiFi control and the choice of a PocketWizard or RFS 2.1 receiver built in. There are four variants, in 400J and 800J energy ratings and the choice between a “basic” or “S” model. According to the manufacturer, flash durations are as quick as 1/13,000 second with constant colour temperature throughout the seven-stop power range. Recycle time for the 400J model is 0.65 seconds or quicker. Thanks to the PocketWizard transceiver inside the head, you can wirelessly control the Broncolor Siros out of the box, as well as take advantage of PocketWizard HyperSync (with a special ‘HS’ flash tube), enabling flash use at shutter speeds up to 1/8000 second. Unlike flashes like the Profoto B1, however, there is no TTL control. You have the choice between a PW or Broncolor RFS 2.1 radio. There is something for non-PW users too, as the new “bronControl” WiFi Direct allows remote control from smartphones and tablets. There will definitely be an iOS app, but no word on Android or Windows support just yet. The Siros will become available in January 2015, at a price to be announced, as individual heads or in studio lighting kits. Stop buying food between now and then and you just might be able to afford one when it is released. 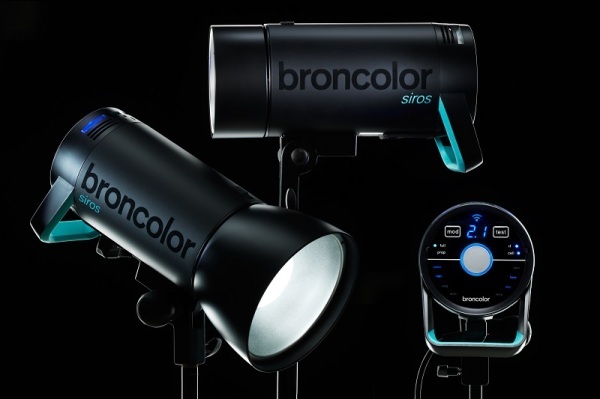 Visit the Broncolor web site for more information. Broncolor is based on stand I040, Hall 4.1 at Photokina, where you may be able to catch an early glimpse of the new gear. Clarification: The original version of this article stated that the Siros is a battery-powered light. It is in fact mains powered. Sorry for the error.